At a median annual rate of $30,040, Hawaii Certified Nursing Assistants are among the highest paid in the state. The state’s all-consuming demand for competent nursing assistants in part contributes to the higher than average rate of pay. The Department of Commerce and Consumer Affairs, along with the state’s Nurse Aide Registry, requires prospective nurse assistants to complete at least 100 hours of formal training in preparation for the Prometric-administered Nurse Aide Competency Exam. Universities, vocational schools, independent trainers, and nursing homes across major cities in Hawaii, including Honolulu, prepare students for the knowledge and skill evaluation and success on the job. The short-term, intensive nurse assistant training at Healthcare Training-Career Consultants meets state requirements. Students develop the skills for the Hawaii State Nurse Aide Competency Evaluation and also acquire the attitudes, skills, and abilities to provide competent and compassionate care. Admission requirements include a TB clearance, picture ID, photo, physical exam, and criminal background check. Applicants must be at least 18 years. Students can complete the 100-hour program in just 2 to 4 weeks, depending on the class schedule. The course content includes bloodborne pathogens, elimination procedure, vital signs, basic anatomy, aging sensitivity, rehab and restorative care, personal care skills, work ethics, legal issues, observation skills and much more. Graduates receive Blood Borne Pathogen and CPR and First Aid Certification. The tuition is $939 and include the course textbook, CPR, First Aid, clinical experience, and lifetime assistance and consultation. Professional Healthcare Educators create a comfortable atmosphere so students can attain the important skills and knowledge to advance their careers in the medical industry. 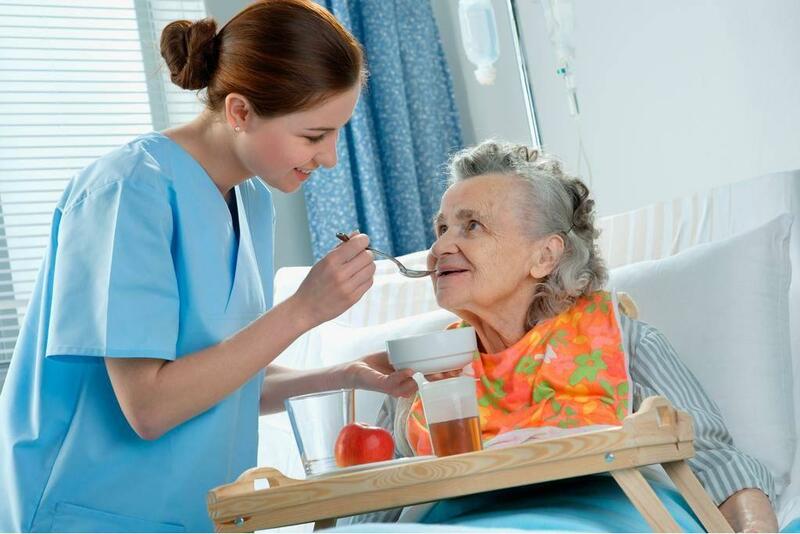 The Nurse Assistant Training Program prepares students to assist patients in long-term care facilities and hospitals with the activities of daily living. Applicants must be 18 years or older, a high school graduate or equivalent, and pass a TB test, physical exam, and criminal background check before the clinical component of the program. The course curriculum covers anatomy, physiology, body mechanics, therapeutic approaches, bacteriology, disease processes, nutrition and feeding among other topics. In the classroom, instructors work individually with students to meet their unique learning requirements. Day, evening and weekend classes are available. The $1150 course fee includes the course textbook, tuition, blood borne pathogens, supplies, materials, basic medical terminology, and registration. Additional fees include CRP/First ($60) and the criminal background check fee ($25). Kapiʻolani Community College facilitates a Long Term Care Nurse Aide program that provides graduates with a Certificate of Competence. The one-semester program is 6 credit hours and 150 contact hours that prepare students to care for the elderly and disabled in long-term and acute care settings. The program is available in the spring and fall semesters. Students who are deficient in any of the enrollment requirements will not be able to complete the clinical component of the program. Applicants must pass a placement test and obtain TB clearance, MMR, and Hepatitis B vaccinations, First Aid, CPR, liability insurance and pass a criminal background check before the clinical component of the program begins. Tuition for the 6-credit course is $684 plus additional fees for textbooks, supplies, registration, and miscellaneous fees. Graduates are eligible to take the nurse assistant competency exam. Windward Community College’s CNA training program is 8 weeks long. The training includes six weeks in the classroom followed by two weeks in a clinical setting where students practice their skills by caring for residents in a skilled nursing facility. The goal of the training is to prepare students for success on the state exam as well as to provide the entry level skills to function in the various cultural and multifaceted environments found in nursing homes, hospital, health departments and assisted living facilities. Instructors use lectures, hands-on demonstrations, visual aids, and interactive discussions to accomplish the program objectives. Applicants must submit all the required paperwork, take the TABE, complete a physical exam, obtain MMR clearance, obtain TB clearance and pass a criminal background check. The tuition is $1190 for the 8-week session. The Instructors at Leeward Community College use a hands-on approach to prepare nurse assistant students for the state exam. The curriculum covers the vocational skills and knowledge that students need to provide competent direct care services. Applicants without a high school diploma can apply for the program. However, they should have a minimum ninth grade reading level as well as pass a physical exam, TB clearance, and criminal background check. Tuition is $2075 and includes CRP and AED, textbooks, blood pressure kit, uniforms, and an exam review.